At first glance, backpacking travel and an above-the-knee skirt might not seem that practical... so check out the brilliantly practical Discovery Skort. 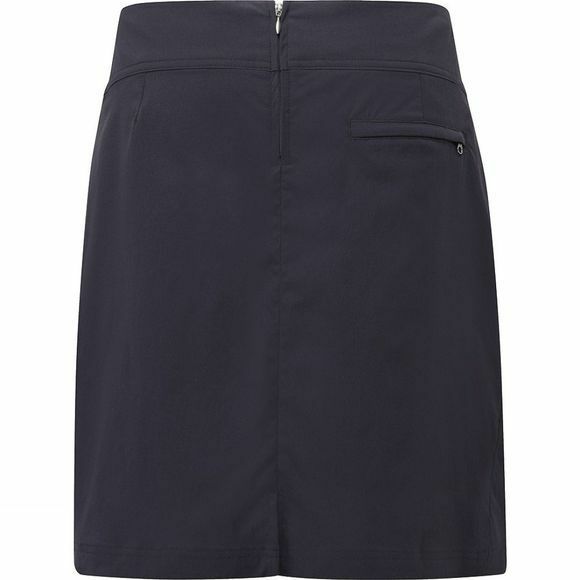 It's a cute little A-line skirt, but with built in inner shorts, so you don't need to worry about staying covered up. As well as the design of its shorts/skirt combo, the Discovery has a few other clever tricks up its sleeve. Well, it hasn't actually got sleeves. It's not quite THAT clever! What it has got is a wicking fabric waistband and seams that are rotated forward so you stay comfortable under a rucksack belt, and a UPF rating of 50+.